Thank you to the Jewish Independent for featuring us in last week's paper! If the image is difficult to view, we've transcribed the exerpt below. 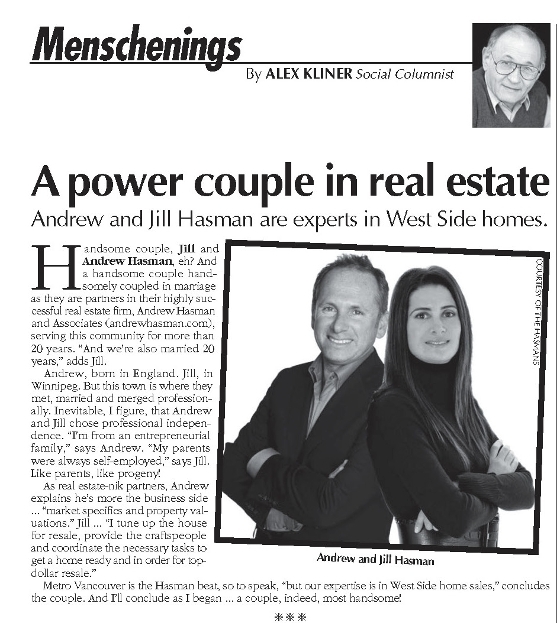 "A power couple in real estate: Andrew and Jill Hasman are experts in West Side homes. Handsome couple. Jill and Andrew Hasman, eh? 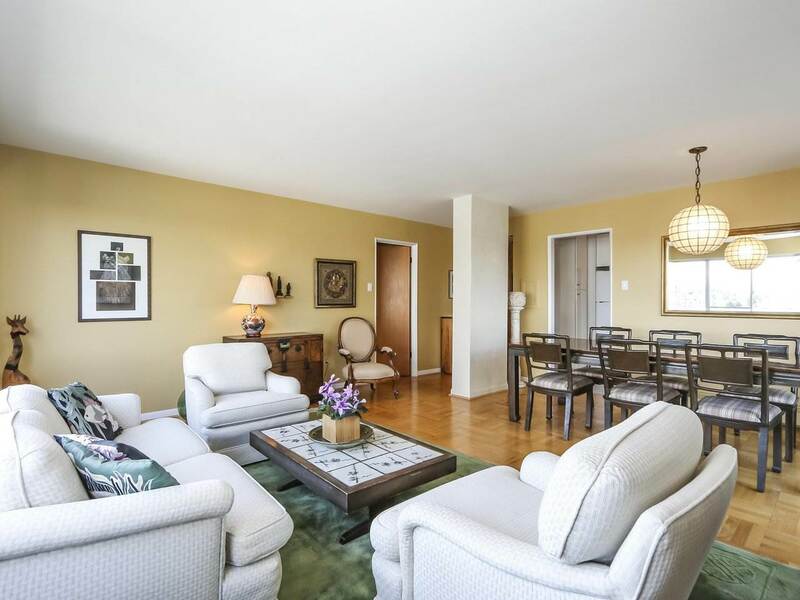 And a handsome couple handsomely coupled in marriage as they are partners in their highly successful real estate firm, Andrew Hasman and Associates, serving this community for more than 20 years. “And we’re also married 20 years,” adds Jill. Andrew, born in England. Jill, in Winnipeg. But this town is where they met, married and merged professionally. Inevitable, I figure, that Andrew and Jill chose professional independence. “I’m from an entrepreneurial family,” says Andrew. “My parents were always self-employed,” says Jill. Like parents, like progeny! Metro Vancouver is the Hasman beat, so to speak, “but our expertise is in West Side home sales,” concludes the couple. And I’ll conclude as I began ... a couple, indeed, most handsome!"